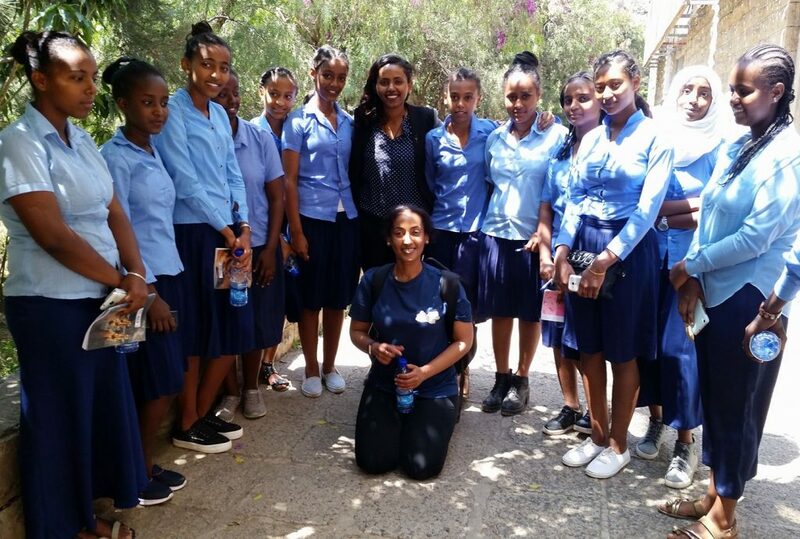 The core concept behind the Astrobus-Ethiopia astronomy, art, and innovation activities is to provide an opportunity for the public to explore, learn and understand the main elements of modern civilisation, and how it is realised. Given the mobile nature of the Astrobus program, we designed our activities in such way that they fit a specific period of time. From the onset we planned to alternate between two types of program. The first one which is designed as 2-3 hours long event was aimed to EXCITE students about science and abstract thinking. The second one, which is the main program of the Astrobus event, was to EMPOWER and was designed to be a day long event together with a night program that includes star gazing. EXCITE was designed for small towns and individual schools, while EMPOWER was designed for major cities in university compounds. The setup and execution of both EMPOWER and EXCITE strategies were envisioned to be fully engaging for girls and boys, as well as tailored to accommodate elementary, highschool and University students. We focused in creating a synergy between and among the different activities. At the beginning of any of the Astrobus event, an Introduction is given to the participants about the astrobus team composition, mission and different activities. Acknowledgement about our funders is also stated here. This first interaction was also important to change the mindset from the usual teacher-student relationship to way of exploring the science-innovation-art world together. 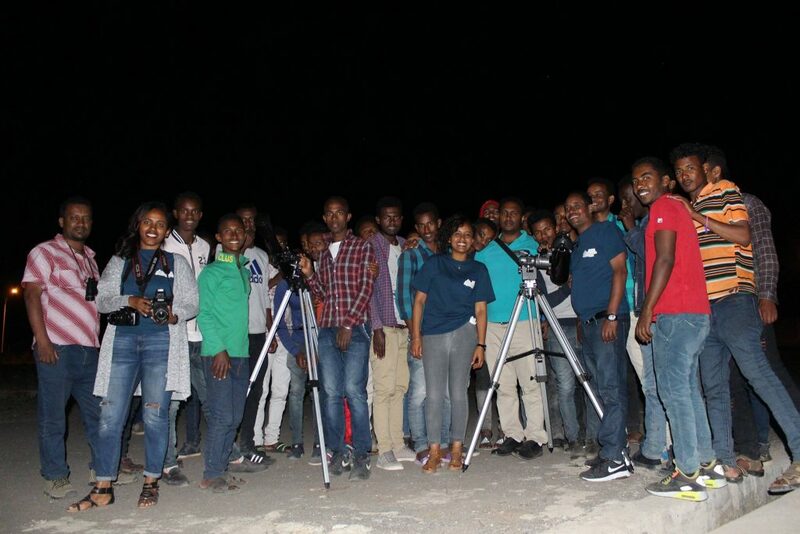 In October 2017, Astrobus travelled to 6 major and two small towns in Ethiopia for ten days with a team composed of scientists, engineers, architects and artists. Our program included different activities involving science, innovation and art. In most cases, we had different stations categorised by areas of interest such as learning about the Universe using different demonstrations about astronomy, activities involving robotics, clothing fashion design suitable for space. We reached about 10000 students from about 40 schools. Our project was able to successfully deliver scientific and abstract topics in ways that are accessible and relevant to the the lives of the audience. We believe that the incorporation of art and innovation with science contributed significantly to the success of the project inspiring students to develop scientific and critical thinking in every aspect of their lives.